Father Fritz Arnold SM joined the International Marist English Language Novitiate community on Friday May 10. A member of the European Province he flew from his home Region of Germany where he has spent a few months holiday with family and confreres. 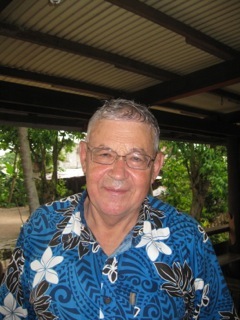 Prior to that Father Fritz was a member of the Novitiate staff at Tutu, Fiji and while there also generously answered some invitations to preach retreats in various parts of the Pacific. Father Fritz Arnold SM it is a great news for us those whom we have met with you in the Province of Oceania. Please know that you have taken your new responsibility as a staff of the Dumalag International community.Once again I would like to express our sincere thanks on behalf of the newly profess member of the Society of Mary, particularly my brothers from Bomana and Suva. God’s blessing be upon you always and forever.